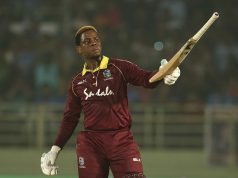 World Cricket needs a strong West Indies cricket team. Depending on who you are, you could view this differently. To some, it may seem like an urgent call to action. To others, given how the current team is playing, it might seem like unsound logic. What are the chances of failure in a Mission Impossible? To become a world-beating side, one needs to grow a spine first, one needs to display the fight. Is this team fighting hard enough? Anyways, decades before West Indies came to be known as Windies, in an age where there were no T20s, at a time where Sabina Park never ran an empty seat, when the sounds of Bob Marley’s music did signal Redemption Song, one dreaded facing them. It wasn’t that Sir Viv was blasting sixes. It wasn’t that Haynes and Greenidge were winning matches. Jeff Dujon wasn’t taking blinders behind the stumps. None of the greats were around. Yet, it didn’t seem their exits were being really loathed for a certain Courtney Walsh was going strong. No tribute to Courtney Walsh could ever be complete without highlighting what he brought to the pitch. He wasn’t a torpedo-like Allan Donald, although he had pace. He didn’t submit batsmen to shivers as Lee or Shoaib did, even as he could make the ball bounce anywhere. Hell, he didn’t need any theatrics either. You didn’t associate the arms stretched out like an airplane akin to an Akhtar with Walsh. You didn’t see him exult by throwing his fists in the air like Lee. He was the high-fives man, who first ran to the keeper and the slip cauldron before the team glued around him like bees to the beehive. 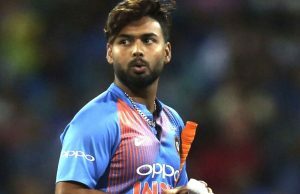 He didn’t have to walk down half a yard to stare at batsmen. What’s more? In an age where there was no social media, Walsh didn’t even resort to lip-service to make up for the absence of an Internet-driven vent. When batsmen played and missed, they sort of learned what they were against. He was a giant force in motion, a machine gun that was loaded with endless ammo if not a Kalashnikov-styled arsenal. 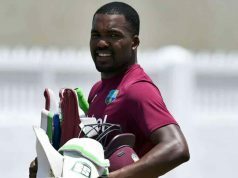 With that high-arm action, loungy run-up, and an endless love for bowling long spells, Walsh ruled everywhere West Indian batting faltered, whether in a Jamaica or Jo’burg, Melbourne or Mohali. For a man who ended up with 736 wickets, including 3 ten-wicket hauls and 23 five-fors, Walsh’s legacy was that of a genteel character of the game, one who was aware of the legacy he was representing. That he didn’t sledge nor had to only adds a touch of humility to the character Walsh epitomized: that to be a fighter you needn’t really fight with your opponents, that using pure craft you could toy with them. That his presence was every bit intimidating as a pugilist about to enforce his will in the ring would remind the contemporary generation of everything that’s missing in their pace attack. There’s no shortage of talent- is there? But perhaps there’s a sense in thinking away from wearing bling or hiding eyes under the choicest selection of shades. Probably an Alzarri Joseph bowls quicker than Walsh may ever have. But can he control the bounce and make it account to wickets at a rate that guided Walsh’s career to the essential breakthroughs he was able to achieve? Gabriel’s got both pace and length. But where’s the control to not bowl waywardly so as to direct energies at a line-and-length combination whose lethality could reach the Courtney Walsh-standards? 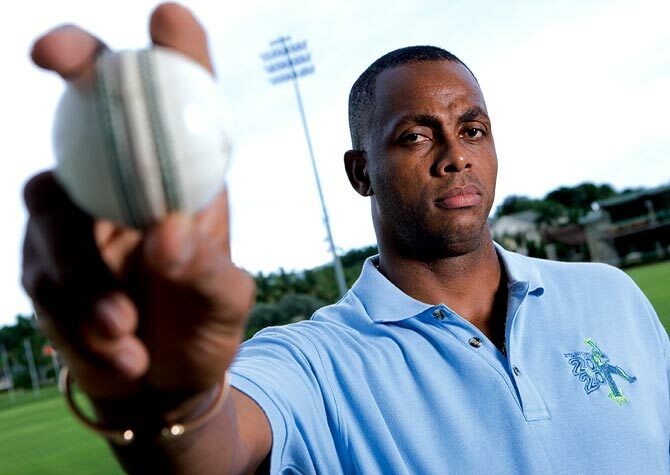 At all these times, it’s important to remember Courtney Walsh wasn’t a menacing evil. He wasn’t the Joel Garner archetypal barbarian. Nor were he an angry bull like his new-ball partner, Curtly. He was a mighty bird that just loved flying. And perhaps in here was the catch. The more it flew, the more it would cut into the wings of its opponents. Remember his 5 wickets for 1 against Sri Lanka? Remember his 5-45 against England at Leeds, 1991? A tribute to Courtney Walsh could never seem complete without suggesting that in front of his gigantic appetite to take wickets, he ensured what others had was their last supper. His gentle presence, calming influence stood out for a team that would often lose its head regardless of who it played against, whether an Australia or Zimbabwe. He was often tasked with defending meaninglessly shallow totals like a 150 in an ODI or a 200-something in the fourth inning of a Test. 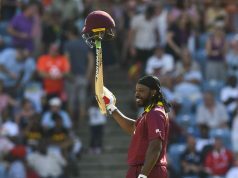 That is when Walsh extracted the best from his craft, as a big, burly fast bowler whose purpose was to bowl well, with a dignity that defined the West Indies from a cleaner filter as against the T20-embracing, wild-heaving would-be mercenaries rightly identified today as Windies. For a bowler who debuted in a side that had stars like Viv, played alongside Haynes, Hooper and a charismatic Patterson to ultimately becoming the mainstay of West Indian bowling, Walsh was often the Lonestar in a sky where there was hardly any twinkle. 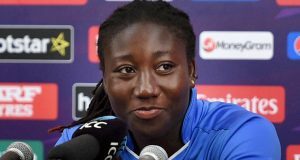 It was a bit like the stuff only a Lara could pull off alone as those alongside him- Sherwin Campbell, Kevin Arthurton, Hooper- regularly faltered. And that Walsh never cribbed nor whined about the downward spiral he was amid only makes his 17-year stay in the game endearing to his fans and precious to his team’s waning fortunes. Maybe the greatest tribute to Courtney Walsh, one seldom debated, was that he did for his team what Mcgrath did for Australia: sticking to that carefully-executed plan of bowling at around off, cramping batsmen for room and doing it time and again with no love lost for rigor. And maybe that Walsh was every bit effective on home turfs as he was on away duties- 229 Test wickets at home to 290 abroad- is a facet that’s often under-appreciated. Probably if the current generation were to merely revisit some snippets of Walsh and Ambrose’ combined decimation of attacks that neither lacked talent or greatness- Sachin, Dravid, Kallis, Cullinan, Atherton, Thorpe, Anwar, Waugh, Hayden- would one learn why it’s important to hunt in pairs whilst retaining a sense of fierce individuality about one’s game. 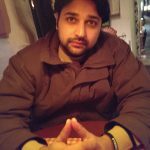 Previous articleIs Cricket becoming a batsman’s game alone? 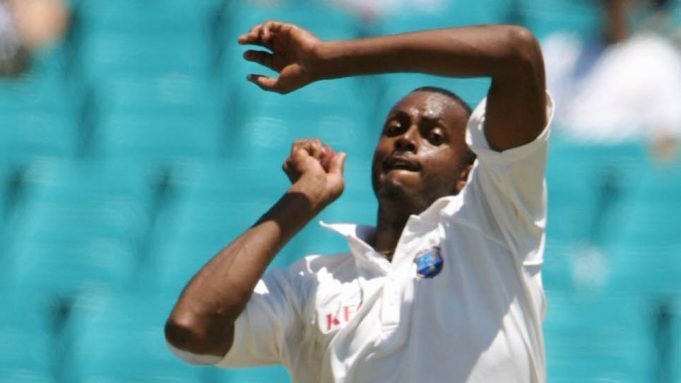 Next articleWho really was Courtney Walsh- a big talent or a special phenomenon?